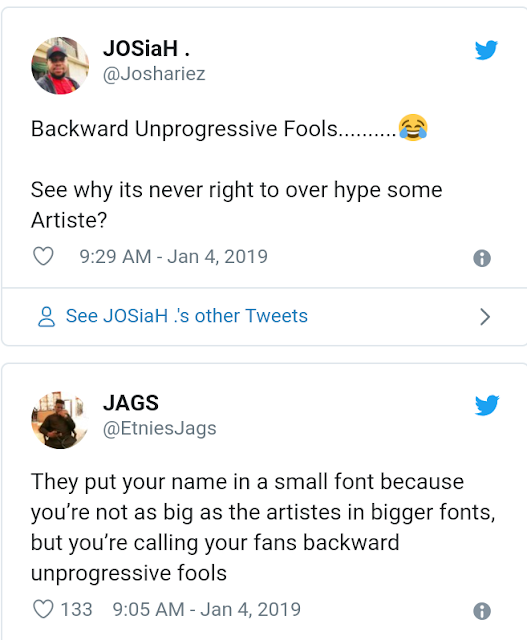 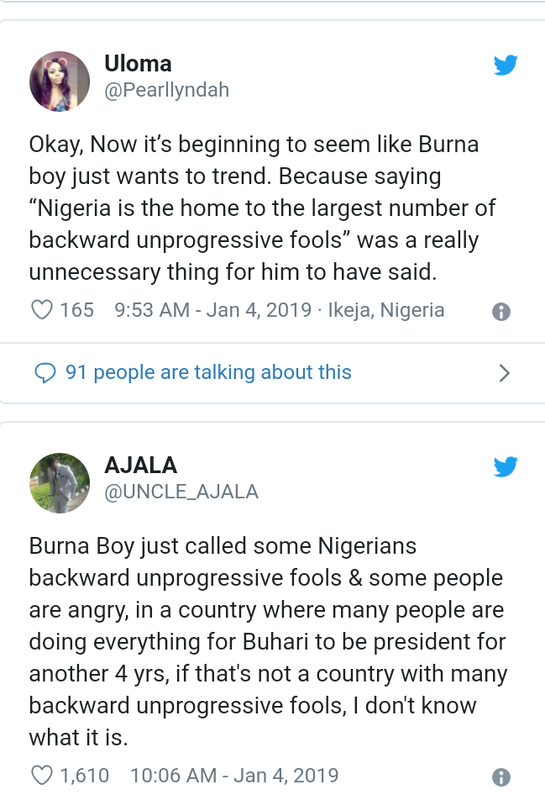 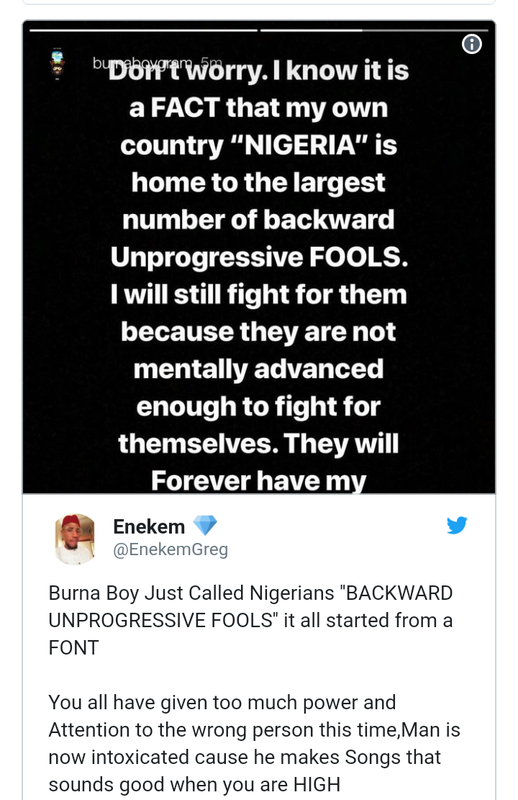 On Friday morning, Burna Boy continued his rant against Coachella following his earlier protest about how small they wrote his name in the flyers. 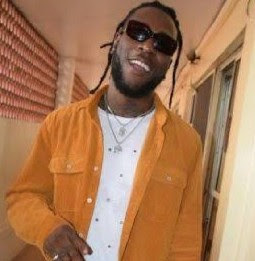 Burna Boy has described himself as an African Giant fighting for the vision and future of the continent, but this morning he went a step further. 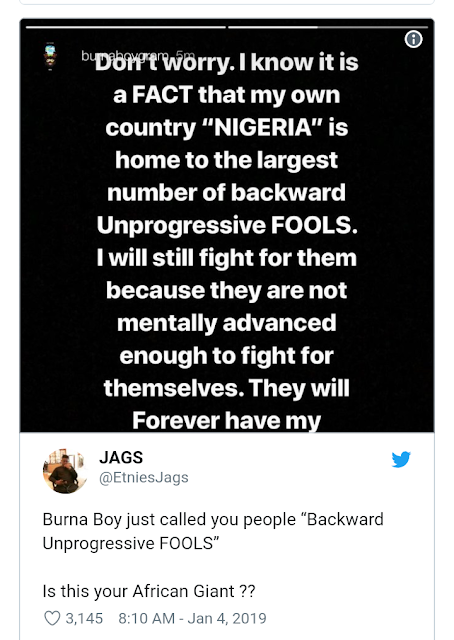 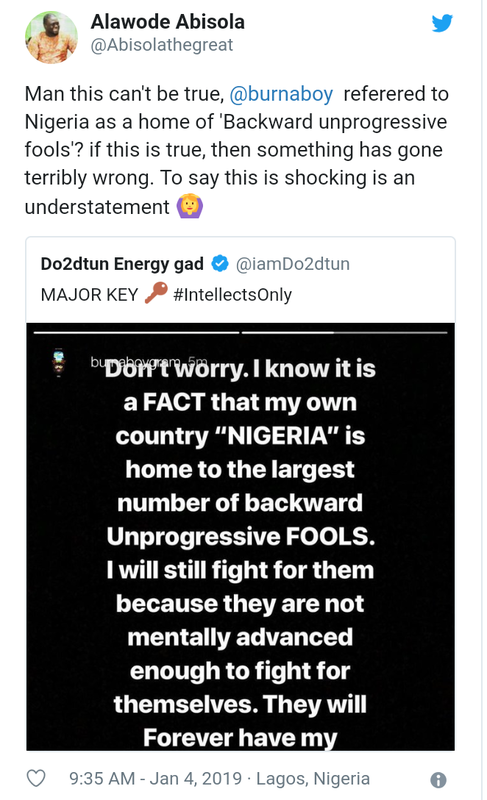 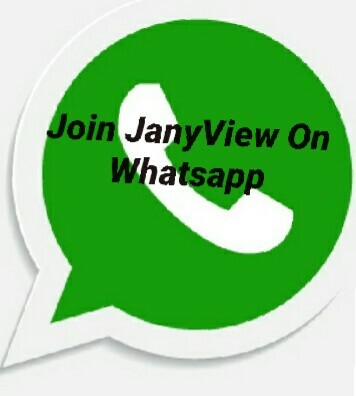 He said, 'It is a fact that my own country 'Nigeria' is home to the largest number of Backward Unprogressive Fools. 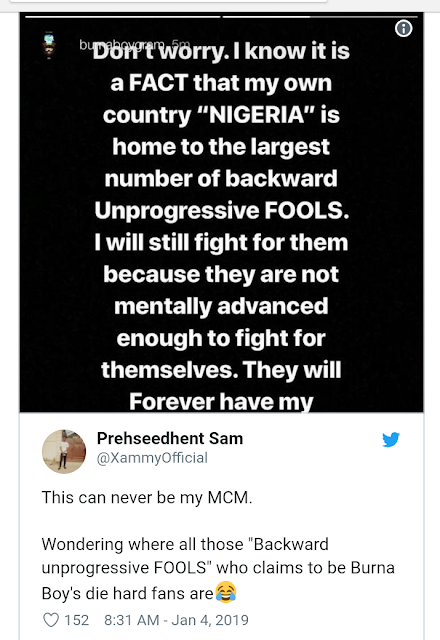 I will still fight for them because they are not mentally advanced enough to fight forthemselves'.